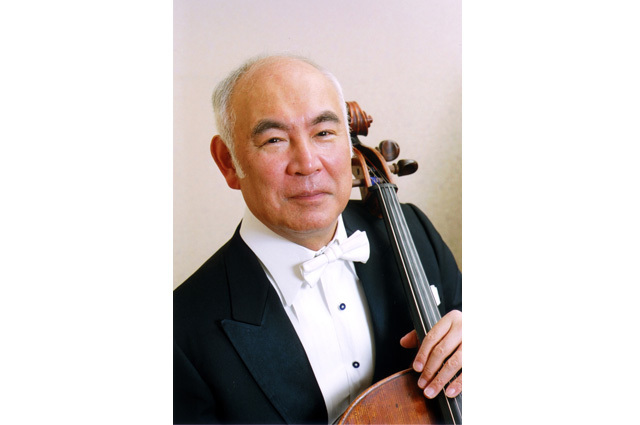 Tsuyoshi Tsutsumi is recognized as a highly praised cellist and a prominent representative of Japan. He became a special pupil of Hideo Saito at Toho Gakuen Music High School, a music school for the younger generation of Toho Gakuen. He then went to Indiana, USA in 1961 and became a pupil of János Starker. During the same year, he won the 2nd place at ARD International Music Competition Munich and also the 1st place at the Casals International Competition. He was awarded a Purple Ribbon Medal in the fall of 2009 and in the same year, he performed at the 20th anniversary ceremony of the Emperor. From fall of 1988 to spring of 2006, he worked at the University of Indiana as a professor and became the principal of Toho Gakuen School of Music in 4/2004. He was appointed as the director of Suntory Hall in 9/2007.